You will find that a Japanese dish is normally served with miso soup. No matter how late it is, a Japanese restaurant will offer this warming soup: it looks ordinary at first glance, but when you o stir it with a spoon, you will find all the hidden treasures rises to the top. Do you really know miso soup? It is an important part of the Japanese food and drink's culture, so what makes Miso distinct? Yuhoki’s bento is normally served with miso soup in a black bowl. Lifting up the bowl lid lets off the hot and mouth-watering steam. Miso soup is a Japanese classic. The soup base is made from kelp and bonito fish flakes and is filtered through to miso to make a thick and creamy soup. Fresh vegetables, tofu are then added to produce various tastes. The preparation of miso itself is simple: soybean is added to fermenting material and then under controlled temperature, it was left to ferment overnight, once it became mouldy, water and salt is then added and stirred and then sealed and stored away for one to two years. Although the preparation time is long, the resulting flavour is worth waiting for. There are two varieties of tastes: sweet and savoury, and there are three varieties of colours: red, black and white, with white being the most common. To a Japanese, when there is rice on the table, then there is miso soup. The Japanese learned the etiquette of drinking miso soup first, then have some rice before eating vegetables from primary school age. 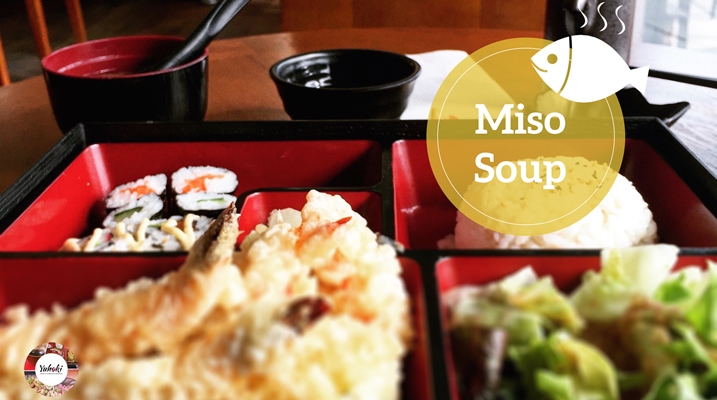 Research has shown that miso soup has cancer prevention properties. For example, breast cancer in Japanese women is amongst the lowest in the world. Miso soup is also good for the intestine and helps to eliminate waste from the body. It also contains soybean saponin which helps to prevent oxidation of fat and promotes metabolism. 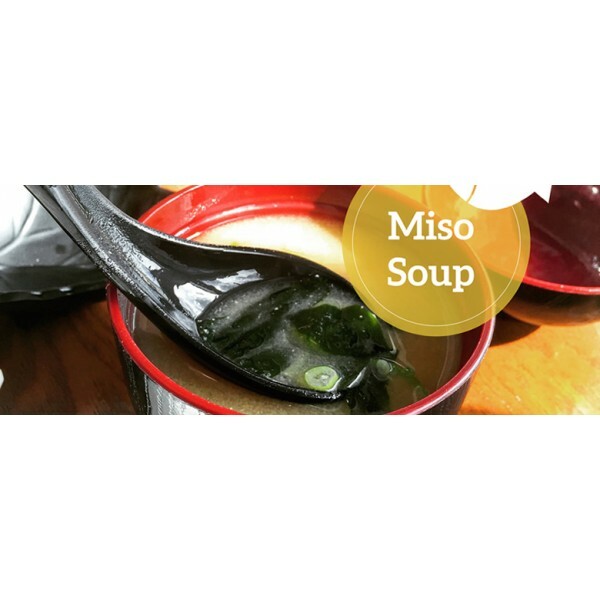 It is worth noting that miso soup is also called the “Nation’s soup”, not only because it is as important as salt and soy sauce but also for its delicious taste and high nutritional value. 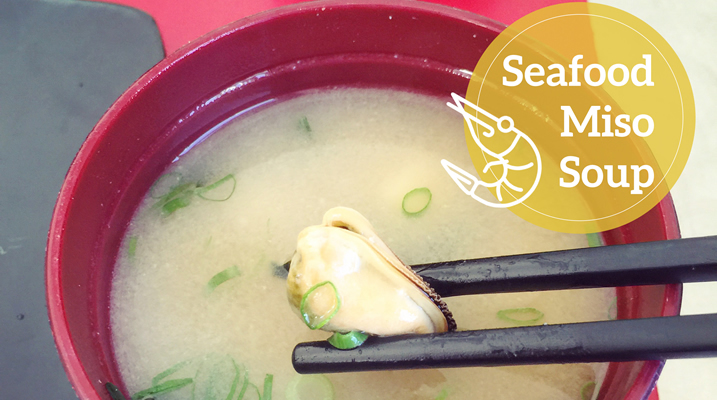 Yuhoki offers two varieties of miso soup: classic miso soup and seafood miso soup. 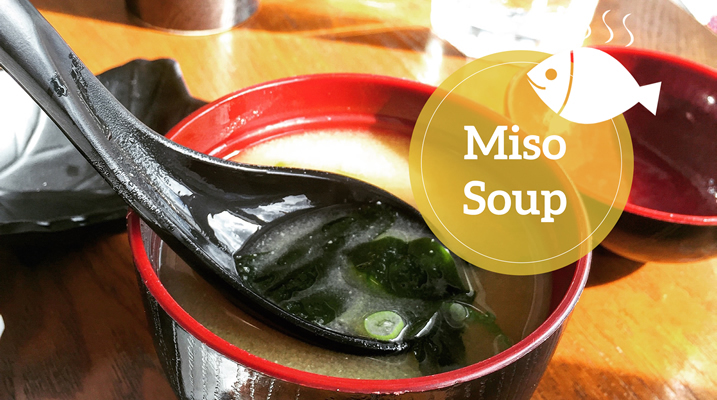 Classic miso soup contains kelp, tofu and chopped green onion. Seafood miso soup contains shrimp, squid rings and clam. A little tip: remember to stir soup before eating it.